Millennials Intrigued by PinotFile My latest Google analytics reveal that 28% of people who land on my website are between the ages of 18 and 24, and 34% are between the ages of 25 and 34. 46% are women and 54% are men. The millennial generation (ages 21-34) consists of 70 million people and has shown the largest percentage increase in wine consumption over Gen X (ages 35-46, 44 million) and baby boomers (ages 47-64, 77 million). Baby boomers still consume 40% of wine in the U.S., while millennials account for 26%. (Figures are from Kevin Zraly, Windows on the World Complete Wine Course) By 2030, millennials will outnumber Boomers by 22 million. There is a marketing lesson here for wineries and retailers of wine who need to address the next generation of wine drinkers. A post on popdust.com by Jennifer Sales, www.popdust.com/2014/07/23/lot18-tasting-room-changing-way-wine-sold/, notes that Tasting Room by Lot18 is the fastest growing wine club in the nation since this innovative service is a hit among the millennial generation. Tasting Room sends mini tasting-size bottles of wine for members to sample and rate. Tasting Room’s algorithm makes informed wine selections for you based on your ratings. Every bottle comes with a satisfaction guarantee so that if you receive a bottle that doesn’t match your preferences, Tasting Room will replace it or issue a credit. 2014 Sonoma County Harvest Fair Professional Wine Competition This prestigious wine competition was held in October. Three levels of award are of particular interest. Double Gold award is a result of the unanimous decision by the panel of judges. The Best of Class award is selected from all Gold Medal award winners in every class. The Sweepstakes award is by private ballot of the judges. Pinot Noir is judged in three classes: Up to $24.99, $25 to $39.99, and $40 and over. Some of the award winners are reviewed in the next issue of the PinotFile. Best of Class, Double Gold and Sweepstakes Winning Red Wine: 2013 Balletto Vineyards & Winery BCD Vineyard Russian River Valley Pinot Noir, $42. Available on winery website at www.ballettovineyards.com. Best of Class: $25-$39.99. 2012 MacMurray Vineyards Russian River Valley Pinot Noir $28, 2013 Davis Family Vineyards Cuvée Luke Saralee’s Vineyard Russian River Valley Pinot Noir $30, and 2012 Premonition Cellars Russian River Valley Pinot Noir $34. Double Gold: 2012 D&L Carinalli Vineyards Estate Russian River Valley Pinot Noir $25, 2013 Thirty-Seven Sonoma Coast Pinot Noir $26, 2012 DRNK Cavers Cuvée Russian River Valley Pinot Noir $32, 2012 Davis Bynum Winery Jane’s Vineyard Russian River Valley Pinot Noir $35, 2013 Taft Street Garagiste Russian River Valley Pinot Noir $36, 2012 Fogline Vineyards Sun Chase Vineyard Sonoma Coast Pinot Noir $42, 2013 Balletto Sexton Hill Vineyard Russian River Valley Pinot Noir $42, 2012 Davis Family Winery Dutton Ranch Russian River Valley Pinot Noir $55. 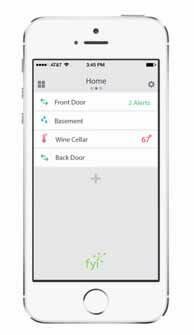 Sensor Device Useful to Monitor Your Wine Cellar FYI Devices has announced a product, that can keep your wine (and other personal belongings) safe by sending immediate notifications to people when wine gets wet or goes above or below set temperature parameters. Sensors can be placed in the cellar and provides a versatile security system without monitoring fees. Sensors are turned on and off from a users phone and alerts are sent when something changes so and response can be instituted immediately. The system provides a much larger coverage area and greater reliability than BlueTooth or WiFi. FYI sensors are available for pre-order on Indiegogo for 45 days beginning November 18. For more information, visit www.FYIdevices.com. “Prescription for Pinot” Published in Oregon Wine Press The latest issue features a cover story I wrote on Oregon doctors who are involved in winemaking and either winery or vineyard ownership. 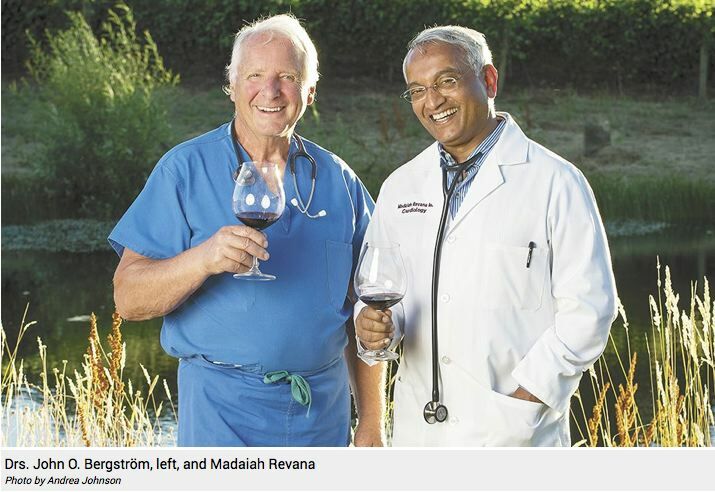 Read the story at www.oregonwinepress.com/doctors-prescription-pinot-oregon-wine. The Weather Channel Video This is a very good video that emphasizes the importance of weather in making harvest decisions, and the usefulness of The Weather channel app to winemakers. The Weather Channel strives to bring the most accurate and updated hour-by-hour weather for vineyards and their harvesting needs. 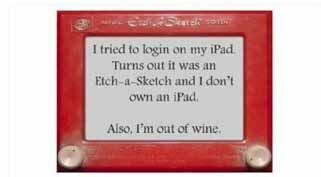 Wine consumers will find it useful as well. Visit www.youtube.com/watch?v=GfyzrG4jMKY&index=8&list=PLki90Aw2GjdfKgTG7ko6s-vEhf3jdfgS1. Gabriel-Glas Release “One For All” Wine Glass Created by Swiss/German wine critic René Gabriel-Glas, this new “universal” wine glass from the Austrian company Gabriel-Glas GmbH, is said to be ideally shaped for white, red, sparkling and dessert wines. It has a broader base at the bottom of the glass, giving the wine more surface to air contact and a graceful conical shape at the top of the glass acting as a “bouquet driver.” The wine glass has been praised by several notable U.S. sommeliers who find it ideal for restaurants where a universal glass is desirable. The Gabriel-Glas is sturdy and dishwasher safe. The lead free crystal wine glass is available as a mouth-blown “Gold Edition” for $55 and the molded “StandArt” glass for $29. 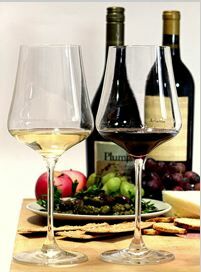 The glass is currently sold in retail stores in the U.S.. For more information, visit www.winegls.com. 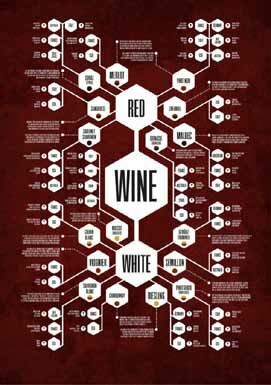 Wine Diagram Poster A valuable flow chart print that methodically records the seventeen primary varieties of red and white wine is a design by Jason Haynes, a passionate wine connoisseur. For each wine grape variety, the chart includes specific regions where it is grown, recommended glassware, best examples and a brief history. It is a plethora of information packed into a single print. A pledge on Kickstarter at https:// www.kickstarter.com/projects/haynes/wine-diagram-poster of $19 or more includes a standard-sized poster, signed and numbered with shipping included. A great Christmas gift for the wine enthusiast. Healthy Cows Love Pinot Noir Pomace At Van Duzer Vineyards in Dallas, Oregon, over 230 tons of grapes were processed this last harvest. That means around 30 tons of pomace were left over. Some of the pomace was composted and returned to the soil as fertilizer. 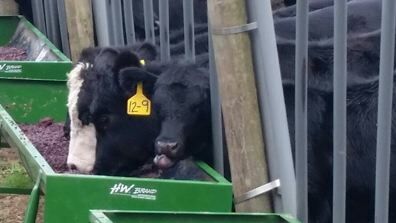 This year for the first time, Van Duzer send their pressings to the neighbors to feed to their yearling beef calves. The Angus beef cattle at nearby Flying F Ranch received this year’s pomace. The lucky cattle are fed livestock grain, hay and Pinot Noir grape pomace. The cattle are discriminating too, for they rejected the pressings from Pinot Gris! Studies in Australia have shown that grape pressing-fed beef ends up extra tender and well-marbled. Visit www.vanduzer.com. 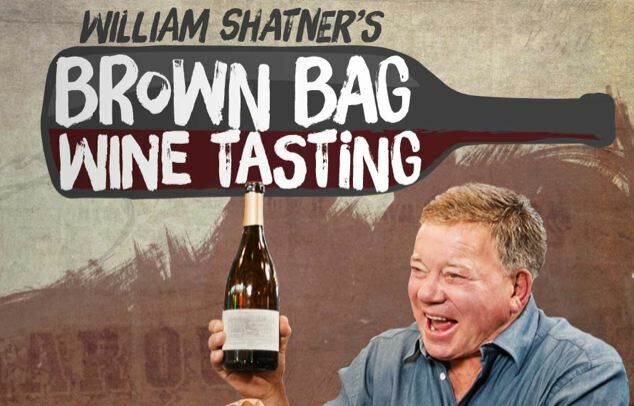 “Brown Bag Wine Tasting” Series This new Ora TV web series follows William Shatner’s adventures as he asks willing participants to blindly taste wine and describe it in terms related to their occupations. The result is a fun, interactive and social experience. The series was created out of Shatner’s love of wine as well as wanting to have a fun wine tasting experience in an entertaining format. Shatner’s first guest on the premier episode was Alton Brown who talked food, family and bubbly wine. The episodes are live on Ora.tv and Hulu.com. Click here: www.on.ora.tv/1tbLap0.com for sizzle reel and www.ora.tv/ brownbagwinetasting.com for episodes. 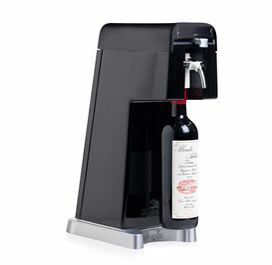 GENESIS WineStation Home Wine Preservation System This is the first single bottle preservation dispensing system designed for both still and sparkling wine. GENESIS preserves still wine for up to two months and sparkling wine or Champagne up to five days using proprietary IntelliCork Technology. Once an uncorked bottle of wine is placed in the system, oxygen is removed and replaced with WineGas, ensuring wines are kept pristine. GENESIS also dispenses preserved wine, allowing drinkers to enjoy just a glass of their favorite wine or multiple varietals at a time. Th complete system, which retails for $499 plus shipping, includes three Intellicorks, two for still wine and one for sparkling wine or Champagne, and two canisters of WineGas enough to preserve 24 bottles of wine. Visit www.genesispreserve.com. Also available at Amazon, Wine Enthusiast and Napa Styles. A PRO System is available for restaurants, wine bars and tasting rooms ($899). Vinotherapy New York magazine recently had an article about vinotherapy, that is, bathing in red wine. Amar’e Stoudemire, a basketball player for the New York Knicks, is one of a number of celebrities who swear by the health benefits of this practice. The claim is that the polyphenols in red wine enhance blood circulation and bestow anti-aging properties on practitioners of vinotherapy. Polyphenol researchers claim that vinotherapy is wacky and has no scientific basis. No research has been done on cutaneous absorption of wine polyphenols. I would rather just drink it. Pinot Noir-Finished Whiskey Woodford Reserve whiskey has released the ninth edition of its Master’s Collection as a whiskey finished in a Pinot Noir barrel from Sonoma-Cutrer winery. The thrice-used barrels are said to give the whiskey a fruit forward flavor. The whiskey was released in November in the U.S. with a retail price of $99 for a 750ml bottle. From www.thedrinksbusiness.com (November 20, 2014). Breeze Breathalyzer Summons Uber A Burlingame startup, Breathometer, has produced a new portable device called Breeze, that will call a ride from Uber if the user has over the legal limit of blood alcohol. The device is about 2 inches in size and pairs Bluetooth wireless technology to a smartphone app available for both iOS and Android devices. It sells for $100 on the company’s website at www.breathometer.com. West of West Orange County a Big Success! 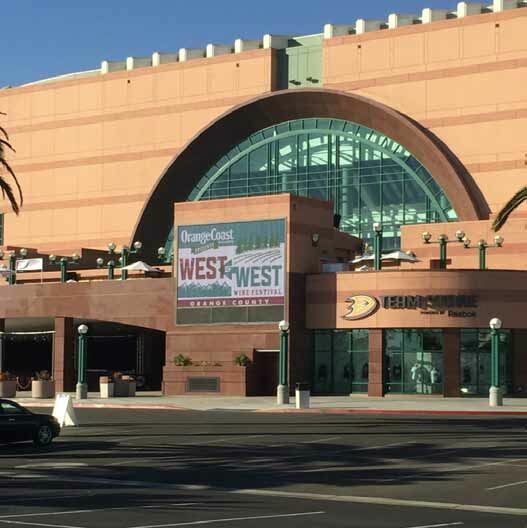 The inaugural West of West Wine Festival featuring the wines of West Sonoma County vintners, was held November 8 at the Grand Terraces Event Pavilion at the Honda Center in Anaheim, California. Over 350 people attended the event held on an unusually warm Saturday in early November. Thanks go out to the organizers and major sponsor, Orange Coast Magazine, and the participating wineries which included: 32 Winds Wine, Alma Fria, Ceritas Wines, Claypool Cellars, DuMOL Wines, Emeritus Vineyards, Ernest Vineyards, Failla Wines, Flowers Vineyard & Winery, Fort Ross Vineyard & Winery, Freeman Vineyard & Winery, Gros Ventre Cellars, Hartford Family Winery, Joseph Phelps Vineyards, LaRue Wines, Lattanzio Wines, Littorai Wines, Martinelli Winery, Paul Hobbs Winery, Peay Vineyards, Ramey Wine Cellars, Red Car Wine, Senses Wines, Siduri, Small Vines Wines, Sojourn Cellars, Soliste, Wayfarer and Zepaltas Wines. 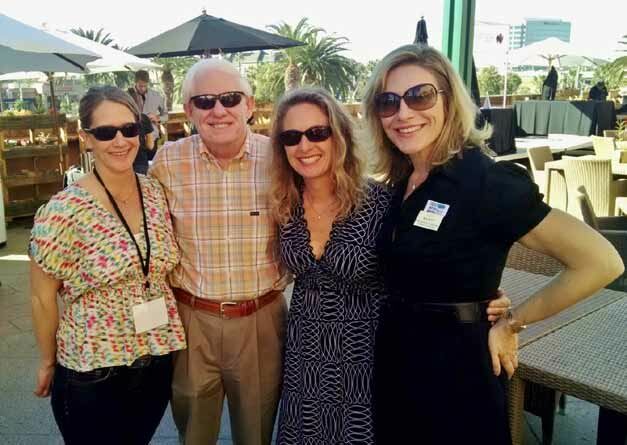 Photo below shows me at the event with a bevy of beauties including Julia of DuMOL, Kathryn of Small Vines, and Alexandra of Ramey Wine Cellars. Sunglasses were required wear on this sunny day!